There are no animals in this hotel, as long as you don't count all the card sharks on the casino floor. You don't have to overpay for a hotel when you stay on the Strip. And really, are you even going to remember the room? Just because you're paying $15 a drink and $50 a meal on the Las Vegas Strip, doesn't mean that you have to pay more than that for a hotel room on the Strip as well. There are many cheap Vegas hotels on the Strip that could actually cost you less to sleep than you'll pay to eat dinner. 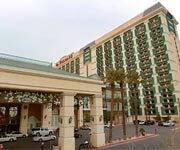 Flamingo Hotel and Casino: Yes, this hotel might be pretty in pink, but it's got a lot more going for it than just pink power and the stature it gets from being the first casino hotel in Vegas. Being one of the cheapest hotels in Vegas is what puts it pretty high on our list. 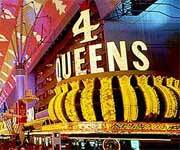 Plus, it's at the famous four corners of Las Vegas Boulevard and Flamingo Road. Excalibur Hotel and Casino: It's shaped like a castle, and is the medieval one of the cheapest Vegas hotels. You can even visit the fancy Mandalay Bay without even having to go outside. It's like you're staying in a cheap Vegas hotel, but you get all the luxuries of an upscale hotel, as in you can walk all over and pretend like that's the hotel you're staying in. This is the flashiest pyramid this side of the Pacific. Egypt's got nothin' on the Las Vegas Luxor. 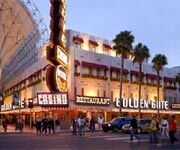 Many of the cheapest hotels in Vegas are Downtown. 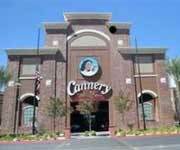 This is the home of low-priced rooms, food and entertainment. 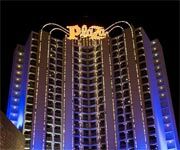 El Cortez: The tower rooms are the best in the house, and as far as cheap goes, you're getting a little more than your paying for in a bigger, more comfortable place than other cheap hotels in Vegas. 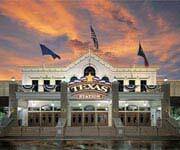 The vintage rooms are the cheapest and rights above the casino. They're still big and even have a sofa in case you take in a stray you meet downstairs. 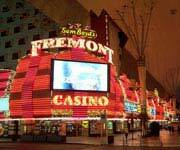 The El Cortez is a short, safe walk to the Fremont Street Experience. Gold Spike Hotel: These little matchbox rooms aren't hard to keep clean at their size, so they always are. The whole hotel is usually clean and nice to be in actually, and again, so close to Fremont Street. The top floor is all suites, for those of you who want to be high-end Cheapos. You're not getting a bigger room, but at least you can brag to everyone that you're staying in a suite and you can store all your leftovers in the fridge that the rest of the rooms don't have. Plaza Hotel: The Plaza just finished renovations on some of the rooms, and while it's not too much of an improvement overall, there are tons of rooms here and tons of grandmas to hang out with. Some rooms are much bigger than others, so request a large one and you might get it, but you'll probably always get a pretty small bathroom. Some rooms have a view, so you can request one if you want to pay a little extra. If you're looking for the cheapest Vegas hotels to crawl back to at the end of a hot streak on the casino floor, let Casino Boy direct you to some of the best discount hotels in Vegas! Not only are we experts on money-saving Las Vegas coupons, promo codes and special offers, we can help you find fantastic hotels with world-class amenities at great, low prices! In Vegas the word cheap really means "value" as most hotels continually upgrade rooms, have unique and interesting themes and offer plenty of extras. Below is a list of cheap hotels in Vegas when it comes to price but the cheaper you get the higher you get in value. Get your deal on today and make Casino Boy proud by using some of that extra dinero you'll be saving to over tip all his favorite waitresses! 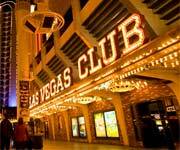 Some of the cheapest Vegas hotels are found off the Strip, away from all the hussle and bussle, but there are a lot of cheap hotels in Vegas near the Strip and Downtown on Fremont Street. The cheapest Vegas hotels are a good choice if you're not planning on spending a lot of time awake in your hotel room anyways. Some of the cheapest Vegas hotels are still clean and comfortable, even though you're not paying for tons of extra fancy things, like down comforters and a fancy bathroom with a phone and TV. You're going to get only the basics at these places, but in some cases, and on some budgets, the basics are really all you need. It's a good idea to stay at one of the cheap Vegas hotels in the center of the Strip, or wherever you'll be spending most of your time, because if you stay at one of Vegas' cheap hotels in the center of all the action, you'll also be spending less on cabs and cutting your travel time in half. When you're staying in Las Vegas hotels, cheap prices can be hard to come by. Actually, when you're doing anything in Vegas, cheap prices are a real stretch. But we know the best hotels that will give you the most bang for the least amount of buck. 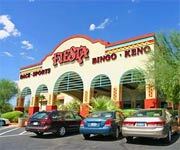 We also have the best Las Vegas deals on clubs, entertainment and more to take your savings one step further. 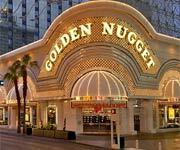 The cheapest hotels in Vegas often have as much to offer as their overpriced rivals, if not more. We're not saying that Casino Boy has ALL the best hotel promo codes and special offers... okay, yes we are! Stick with us as you plan your trip to Las Vegas and not only will you save cash, but you'll go there knowing all the best attractions that are taking place during your stay.